I was out taking a walk while visiting my sister back in the Kansas City area. The sky was pretty dark, but in the automatic mode of my camera it was gathering as much light as possible and the picture here is much brighter than it actually was. 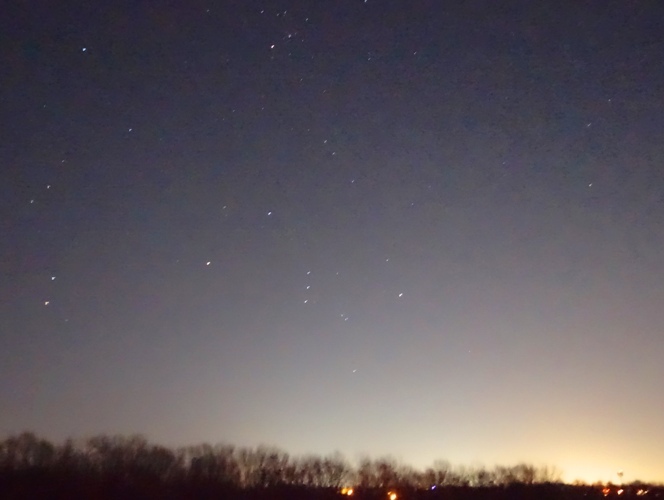 However, you can easily see Orion. I started to play with some of the different automatic modes on my camera and took a series of pictures. 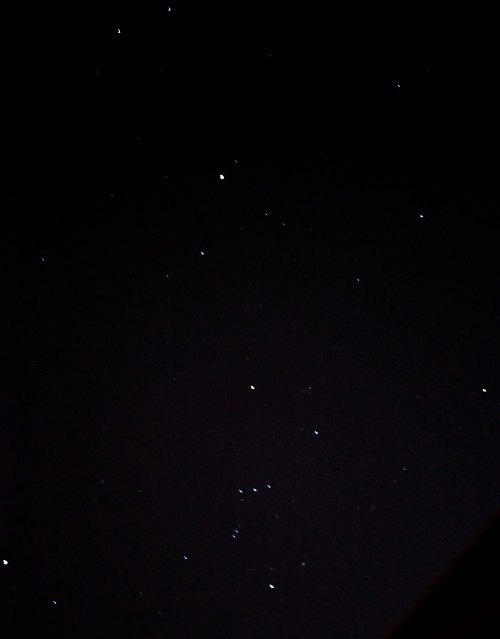 Here the sky is darker, and you can pick out the seven major stars of Orion. 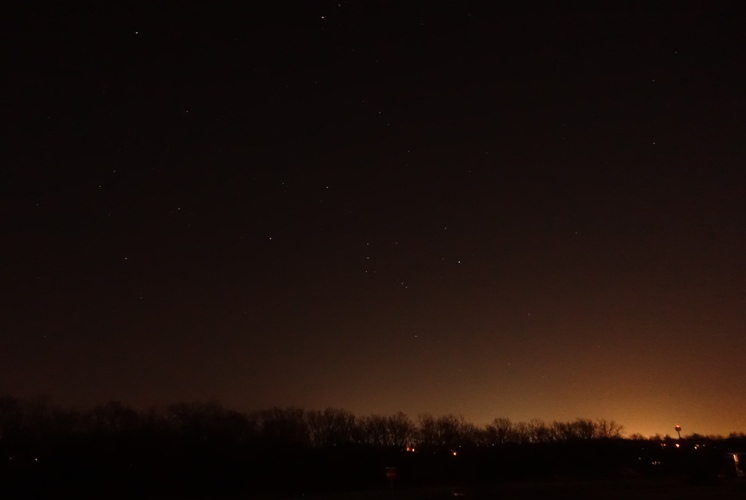 In this picture I gathered more light and you can see additional stars in Orion. You can barely see the head star and you can see the three stars of the sword. 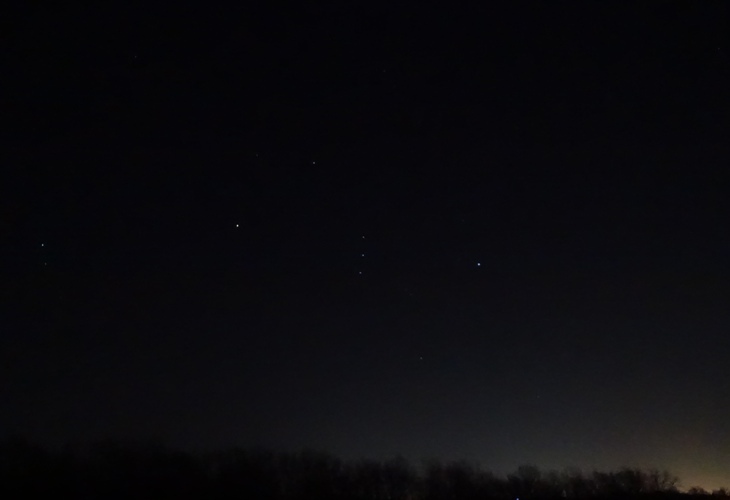 Here you have a wider view of the sky and can see the entire constellation of Orion including the club and shield. My sister lives near the airport and you can see the control tower in the lower right of the picture. This picture was taken almost four years ago from my side yard here in California. In this picture you can also see the entire constellation including the club and shield of Orion. You can see a few more pictures that I took four years ago in my post Night Sky. 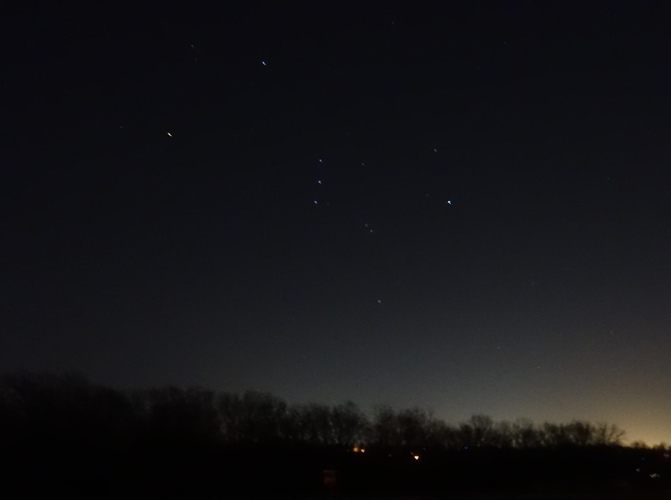 Orion has always been one of my favorite constellations as it is easy to pick out of the night sky. This entry was posted in Astronomy and tagged Constellations, Dark Sky, Kansas City, Night Sky, Orion, stars. Bookmark the permalink.